https://houston.bintheredumpthatusa.com/dumpster-rental-bellaire	Bin There Dump That Houston	https://houston.bintheredumpthatusa.com/img/franchisees/54.png	20730 Highland Hollow Lane,, Humble, TX	Contact us for more details. 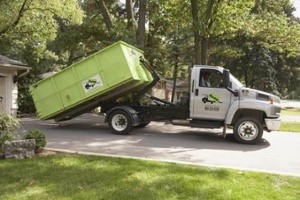 Discover how we make renting a dumpster in Bellaire, TX a simple and easy process. Bin There Dump That is committed to making the dumpster rental process for the customer a seamless transaction, from placing an order for the needed dumpster size to delivery of the waste container in Bellaire to an immediate pick up when you no longer need the bin on your driveway. William Wright Baldwin had the honor of naming Bellaire after the gentle breeze that often runs through the town. This tight-knit bedroom community is perfect for Houston locals that want a quiet place to retreat from the city. When you begin your remodel don’t work with anything less than the best dumpster rental company in the entire Houston area. You’ve probably been dreading looking for dumpster rental services. So many of them make you haul your full dumpster to the landfill and scuff up your driveway while they’re at it. The Gerald D. Hines Waterwall is an inspiring sculpture that has been featured in various movies. The surrounding park contains over 100 oak trees perfect for the many concerts and shows hosted in front of the waterfall. The Nature Discovery Center houses 4 very different ecosystems to explore. The pocket prairie is a small collection of native plants and landscaping that represent the area before human intervention. The forest was planted using trees native to East Texas, making it the perfect home for many local species. The prairie wetland’s deep roots protect the Houston area from flooding by absorbing excess water. The cypress pond hosts all kinds of guppies, frogs and other amphibians for you check out on your next visit. While it might sound like another nature conservancy with beautiful trails and not much else, Evelyn’s Park has so much more to do. The event center hosts a variety of fitness classes, like pilates, yoga, and Gymboree for the kids. The park also hosts organized events like Cars in the Park, an exhibition of classic and exotic cars. Your local Dumpster Rental Bellaire dumpster rental operators are Ivan & Michelle And Tony & Sylvia.